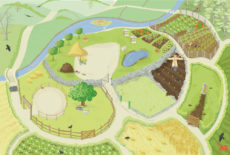 Little ones love farms and farm animals. 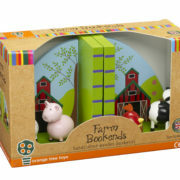 Keep your child’s favourite books tidy and in good condition with these delightful wooden bookends. 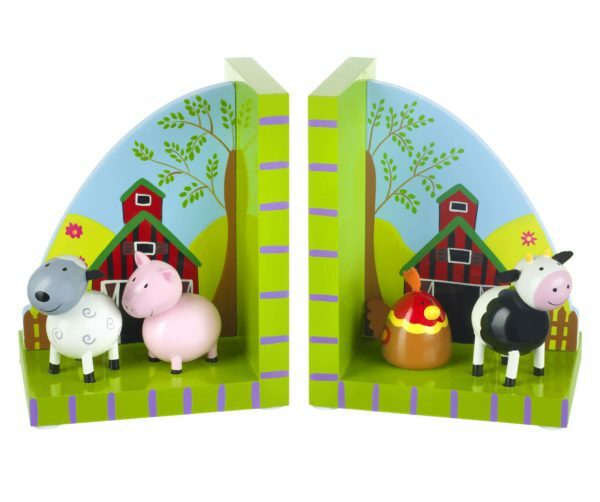 These beautifully detailed, hand painted bookends feature a woolly white sheep and plump pink pig sitting outside the barn on one bookend, with a colourful hen and black and white cow on the other. Finished in non-toxic paint, these sturdy bookends have rubber pads on the base to stop them from slipping. 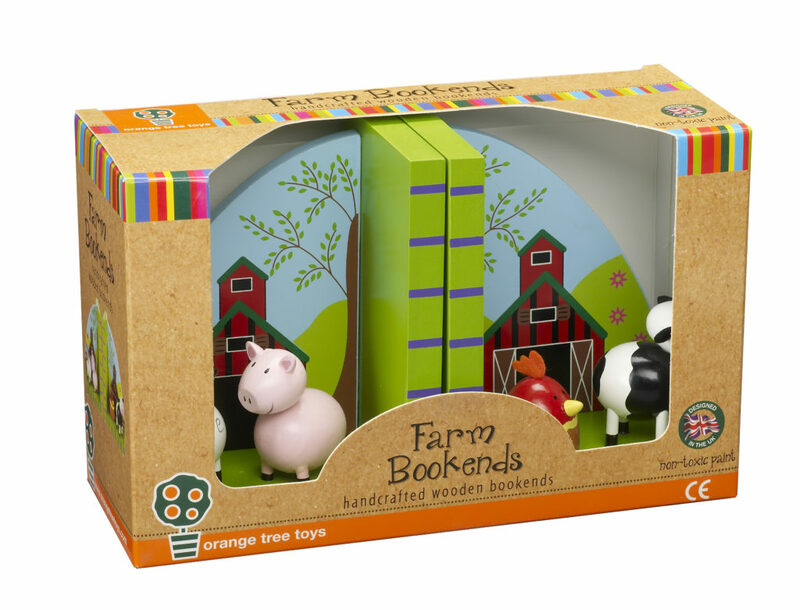 These beautifully crafted Farm Yard Bookends from Orange Tree Toys are the perfect addition to any nursery, bedroom, or playroom. Presented in a lovely window box, they make a perfect gift for any occasion, particularly for a special occasion; a christening, birthday or for Christmas!